The next club shop order will be will be sent after next weekend (16/6/13). If you want to get your order in give the sheet and money to Michael Cronin or a club official before next weekend. The eFlow FAI Summer Soccer Schools return in 2013 with even better value for parents! This year’s camps are the lowest price ever, with places costing €65 if booked by Mid June. Recognising the current economic climate and responding to feedback from almost 3,000 parents after the 2012 camps the programme has been restructured in order to make it more affordable for parents while still maintaining the programme’s high standards. Partry will host the camps from July 8th to July 12th. 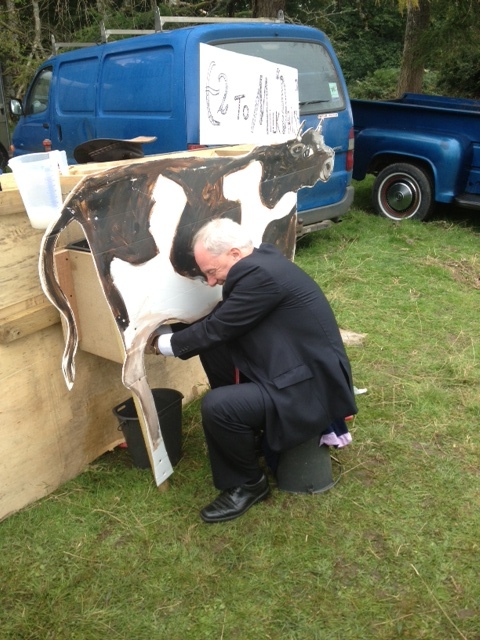 Or alternatively phone Austin O'Neill on 0863095543. 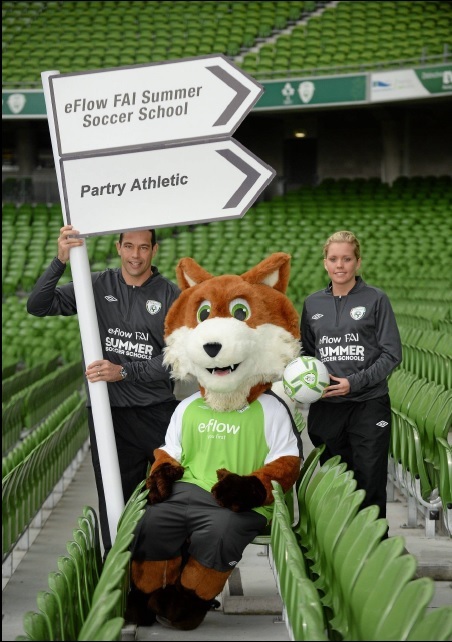 The 2013 eFlow FAI Summer Soccer Schools are the most affordable ever! Online Bookings – Early Bird Offer! Each booking made qualifies for one adult ticket and a ticket for each child on the booking. For example, if you book one child onto a camp you will get one adult and one child’s ticket. If you book two children onto a camp, you will get one adult and two children’s tickets. This is a limited offer, so make sure you book early to make sure you get your tickets!! Once they’re gone, they’re gone! 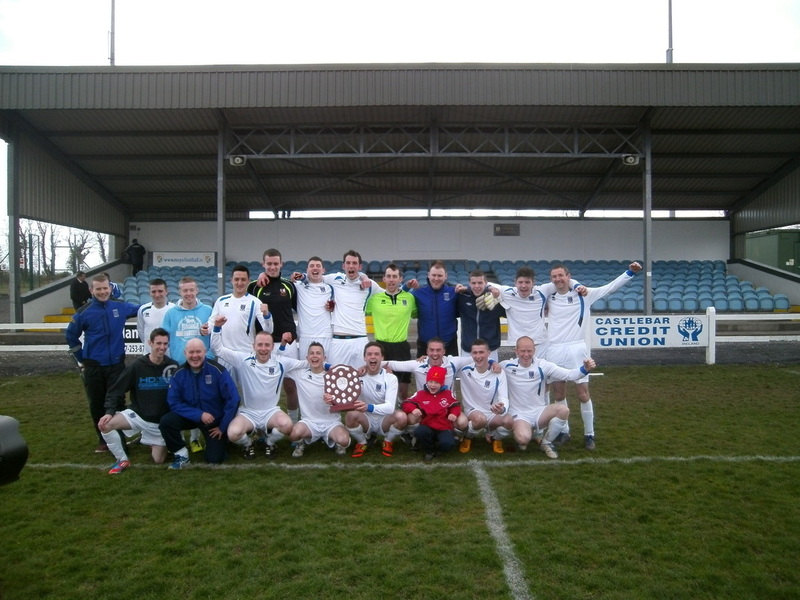 Partry Athletic are 2013 Connacht Shield Champions after a 2-0 win over Urlaur Utd in Milebush. Partry went into the match resplendent in their new white kit and blew away Urlaur with their slick passing game. Partry started well with the strong breeze behind them and immediately put Urlaur under pressure. Partry went close with a header from Paul McAlpine after a Tom Byrne corner and also with a Sean Rowley shot which hit the side netting before finally taking the lead when Tom Byrne cut in from the left and went halfway across the front of the 18 yard box before turning and hitting a brilliant looping shot over the keeper into the net. Partry were exerting pressure constantly and any Urlaur attacks were dealt efficiently by the defensive line of Jamie Wall, Paul McAlpine, Brian Donnelly and James Colfer while Sean Og Bourke was on hand to collect anything that came his way. The second half saw Partry face into the strong breeze but they were still on top with Sean Rowley creating havoc in the Urlaur defence. Partry made it 2-0 when Mossy Seoige finished off a Tom Byrne cross only to see the goal chalked off for offside. Partry had numerous more chances to get the second goal with Sean Rowley going close a couple of times and Mikey Jennings slamming a thunderous shot against the post but they finally made the breakthrough when Mossy Seoige hit a brilliant shot low into the corner to kill off any Urlaur challenge. Congratulations to Partry players Sarah Brady, Blathnaid Walsh and Shauna McDonald who all featured on the Mayo U14 squad as they played Clare in Tulla today (Sat 30th March). The three girls all played excellently in an extremely tight game where Mayo were unfortunate to lose 2-1. Partry Athletic held their Junior AGM tonight, 2nd March, and a new committee was elected to run the club for the coming year. Barry Bourke was elected Chairman. Assistant Chairman is Martin Coyne who also has responsibility for Pitch Maintenance. Secretary is Michael Cronin. Treasurer is Neil Donnelly with Brendan Garry as Assistant Treasurer with special responsibility for the Lotto. Tomas McHale was elected PRO. 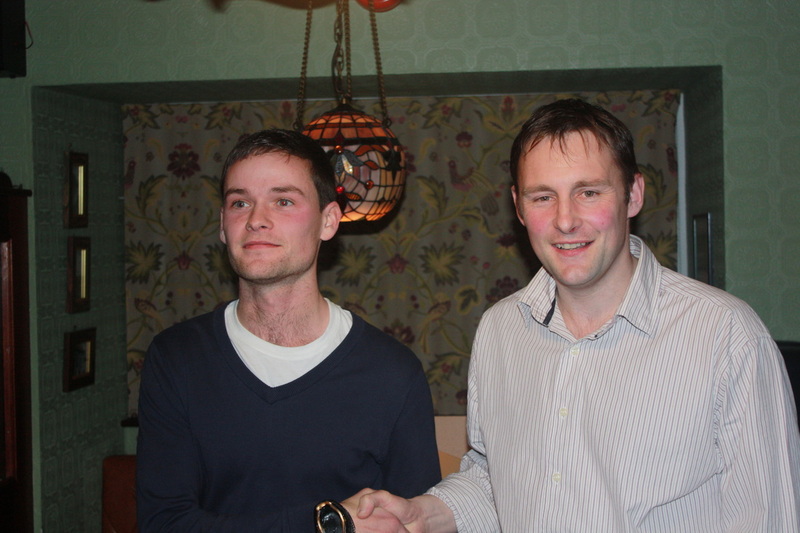 Austin O'Niell was elected as Fixtures Secretary. 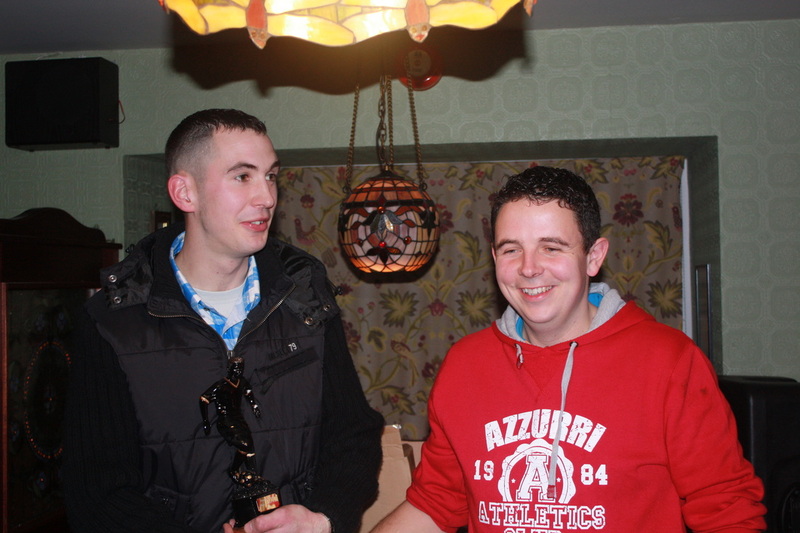 Ciaran Hennelly was elected as the Registration officer. Other officers elected were Tom Byrne, John Farragher, Frank Burke, Sean og Bourke, John Byrne and Kieran Hennessey. Thanks have to be given to the outgoing committee who did a brilliant job but a special thanks must be given to Donal Bourke who has served on the committee since the clubs founding in 2004. The amount of hours and dedication he has given to the club is unparalleled and he will be missed. Partry Youths had a successful and fun day at the Ballintubber resource centre last Sunday when there were lots of fun games of soccer and plenty of refreshments for all present. 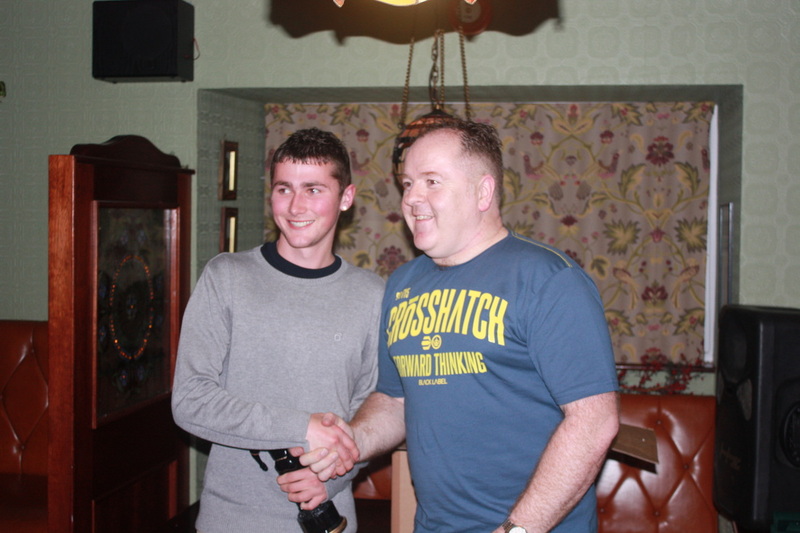 The awards for the Youths players of the season and most improved players were presented by Brian Donnelly at the event. The day was capped off by Michael Corrigan of Corrigans store Ballintubber who generously donated €400 to the club to help with the season ahead. Congratulations to all involved for a great day. The pictures are now on the Gallery page. Partry Athletic Club Shop Is Open! Partry Athletic proudly announce that we now have a range of leisure wear available so that you can show your support for your club. To browse our range click the "Club Shop" link on the left. Partry Athletic underage committee are holding a scrap metal collection with all proceeds going towards the underage running costs. If you have any unwanted scrap we can collect please contact John Casey at 087 6802878 or Frank Brady at 087 2227383 or email us with the details. Collections will start near the end of August.